The NAP 155 XS is the perfect companion to the NAC 152 XS preamplifier in an XS system. It features a very large mains transformer – both physically and in terms of its power rating – and at the heart of its power supply uses the same reservoir capacitors as the award-winning SUPERNAIT integrated amplifier. The NAP 155 XS employs similar construction techniques to the NAIT XS integrated amplifier with a castellated heatsink and reduced earth reference routing to deliver enhanced performance and more music. The NAP 155 XS is a power amplifier straight out of the classic Naim mould: fast, detailed, dynamic and single-mindedly musical. 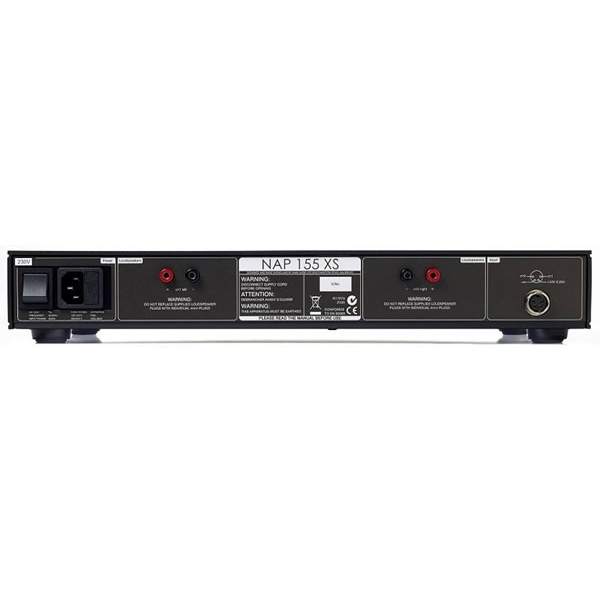 Specifications Audio outputs Speakers Power output 60W per channel into 8Ù, 90W per channel into 4Ù Voltage gain + 29 dB Minimum Load impedance 2Ù Frequency response 4Hz - 75kHz THD 0.013% Signal to Noise Ratio 100dB Phase Response Absolute phase correct Power Supply Voltage: 100-120V, 220-240V, 50 to 60Hz Power Consumption: Max 330VA Quiescent Power Consumption: 16VA Physical Dimensions (mm): 432 x 301 x 70 (W x D x H) Weight: 7.9kg Shipping Weight: 10.5kg Shipping Dimensions (mm): 580 x 500 x 200 (W x D x H) Colour Black Finish Anodised fascia, painted cover Etapa de potencia estereo 2x60w. Entrada audio conector Naim. Terminales altavoces solo bananas. Excelente calidad de sonido. XPA-DR1 - Etapa de potencia de 1 canal. Entradas RCA y balanceadas XLR, por canal, seleccionable por el usuario. 650 Watios a 8 Ohmios y 1.000 Watios RMS a 4 Ohmios. chasis de acero, con una placa frontal de aluminio fresado y una pantalla LED azul. Vincent SP994 - Amplificador de potencia estéreo clase A - 300 Watios RMS a 8 Ohmios. NAP100 - Etapa de potencia estéreo 50 Watios a 8 Ohmios. Tamaño compacto y reducido. Etapa monofonica 300w. 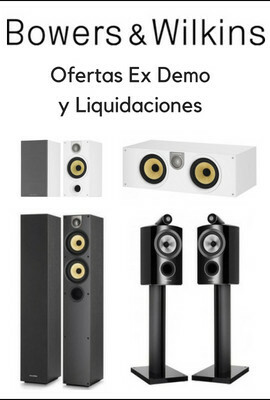 Entradas RCA/XLR. Trigger 12v.